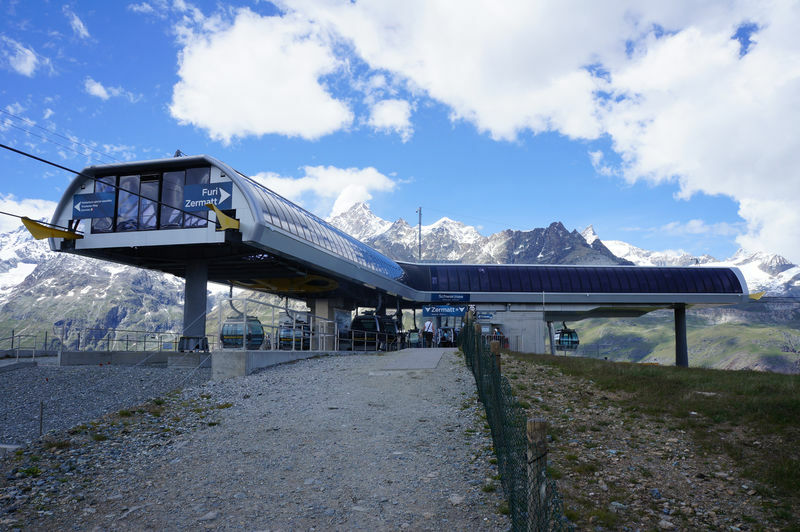 The first cable car to Schwarzsee opened in 1956. Until then, visitors had to walk up. 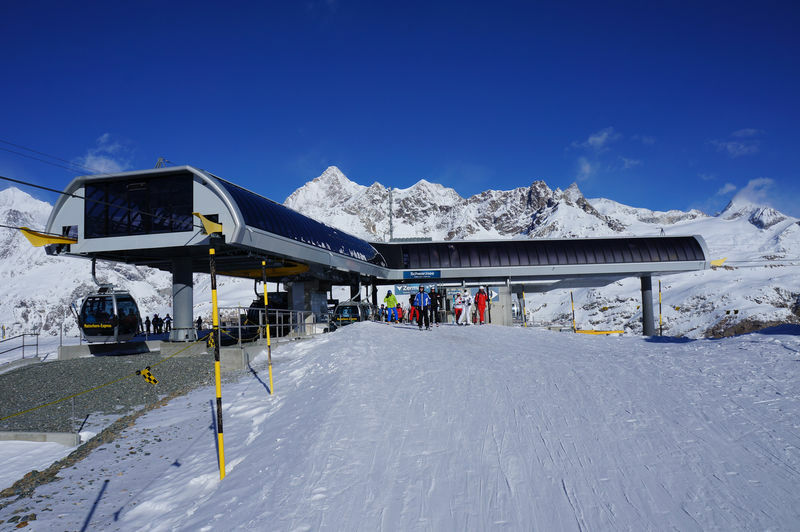 Today, it’s just a 12-minute ride from Zermatt. This is also the start of the hike to the Hörnli hut (3,260 m), which takes about two hours. The trail requires a steady foot and sound equipment, as well as a good head for heights. Up at Schwarzsee, visitors see the whole valley and village of Zermatt stretching out below. The Schwarzsee lake lies in a hollow. A small chapel, “Maria zum Schnee”, stands on its shores; many mountaineers stop by after a successful ascent of the Matterhorn (4,478 m) to give thanks. 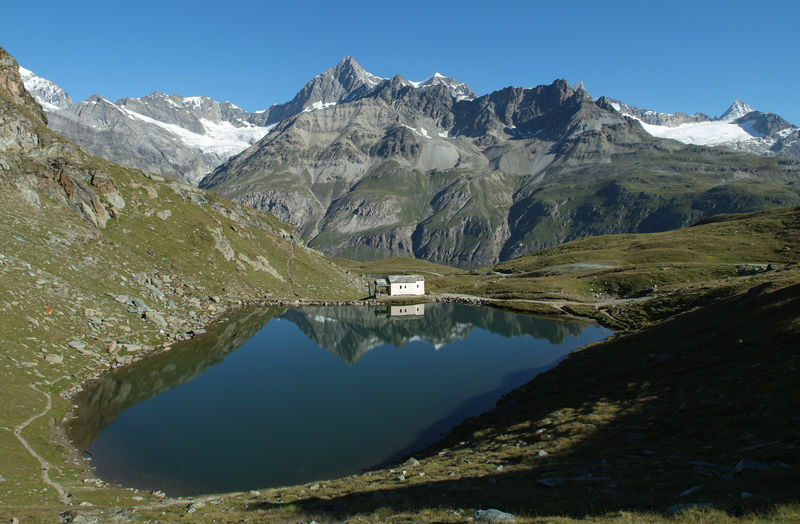 The Schwarzsee region is also home to numerous endemic pioneer plant species. The alpine landscape of boulders and scree is scattered with streams and lakes. These and other traces left by the retreating glaciers are the theme of the fascinating Matterhorn glacier Trail, which leads from Trockener Steg (2,939 m) to Schwarzsee. The path also shows how the receding glaciers created habitats for plants and animals, and how local people have made use of the resulting landscape. 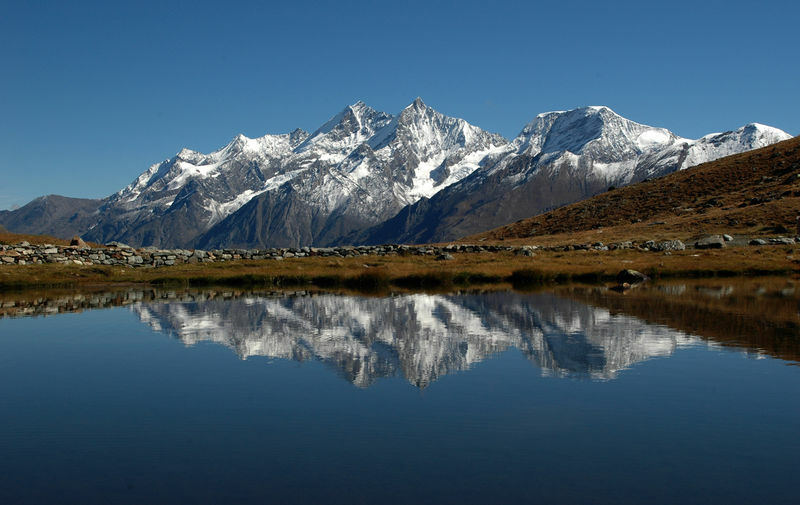 The well-known Matterhorn Trail reveals many interesting facts about the iconic mountain and its history. 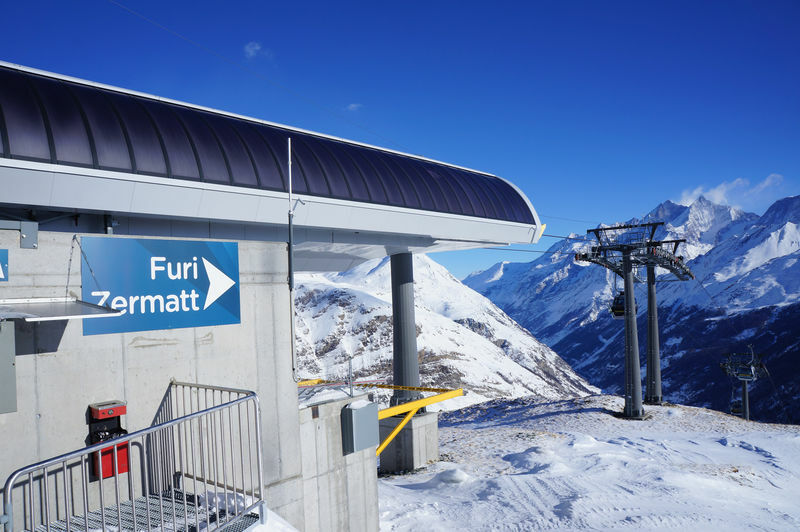 “Happy hiking in Zermatt”, published by and available from the lift company, Zermatt Bergbahnen AG.